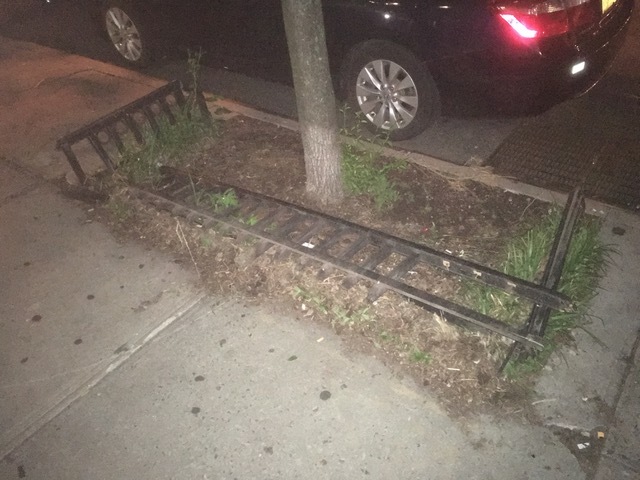 Both my and my wife’s bikes were locked to the low planter gate (see pic), which unfortunately seemed like an OK idea at the time in the dark. They were each locked with a Krypto U-Lock to that same rail. Filed a report at the 9th Precinct with Detective Lawrence Wein. 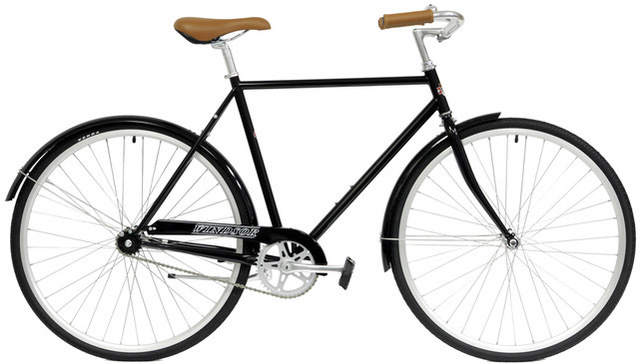 I actually scoured the adjacent blocks right after it happened and saw the thief riding it. I chased them into the Jacob Riis Housing Projects but lost them much to my disappointment. Some plain-clothes officers even backed me up but to no avail. – Mavic CXP14 rims laced to Schwinn Bendix coaster brake in the rear, Phil Wood low flange in the front. 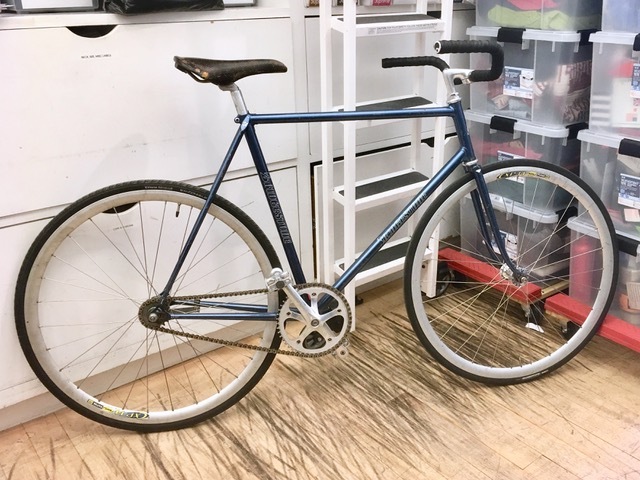 This entry was posted in Stolen Bike and tagged 9th precinct, bridgestone, coaster brake, east village, front basket, Kryptonite lock, manhattan, single speed, track frame, windsor. Bookmark the permalink.